Funnily enough, I wasn't really into rhythm games before this generation of consoles. I enjoyed them enough, but I never went out of my way to play them. That changed after I played the first Hatsune Miku: Project Diva F game on the PlayStation Vita. From that point on I've become a major fan of the genre, playing as many of the good examples of it as I can come across. So for this week's Friday Ten, I thought that I would take a look at one of my newer favourite genres, and some of the better examples from it that we've seen in recent years. Have some favourites of your own? Let us know in the comments! Now, you didn’t think that I was do a list of great rhythm games without mentioning Miku’s incredible Project Diva F 2nd, did you? Here’s a game I have spent, literally, hundreds of hours on. It’s not just because Miku’s so adorable, either. The game is genuinely difficult but genuinely rewarding, and themechanics are simple and accessible, while also being designed utterly perfectly to be mesmerizing. Truly few games can hope to be as addictive as this one. 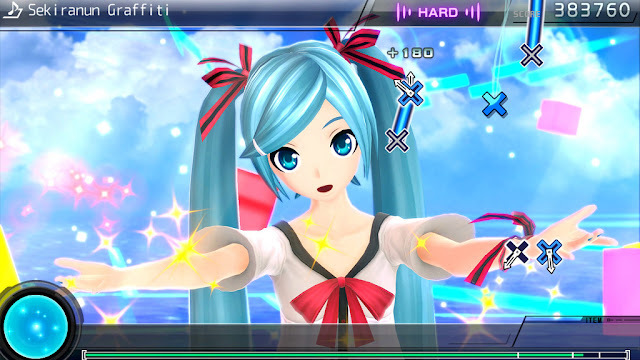 It is not quite Project Diva, but Miku’s 3DS outing does some so, so close. 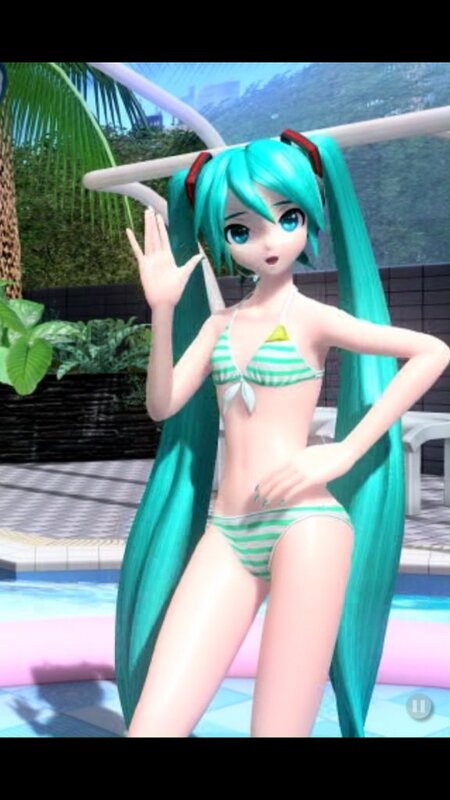 The music tracklist is arguably better (though that’s always going to depend exclusively on what kind of music you actually like listening to), but for me, at least, the more “realistic” Miku is the better aesthetic direction for the series to go. 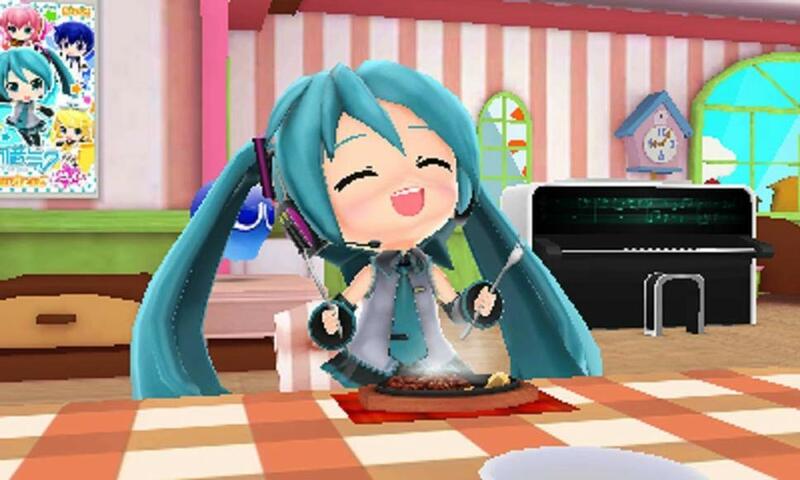 This Miku is absolutely adorable, mind you, and Mirai is possibly the cutest game that you will ever play. I know that in theory Lumines is meant to be a puzzle game, but in practice the game really is all about the music. Imagine Tetris, where you’re encouraged to play to the beat of nightclub music, and you’re basically at where Lumines reaches its heights. With tracks like Hey Boys, Hey Girls by the Chemical Brothers, this is a game that has a really funky vibe, and I can’t believe that Ubisoft has effectively retired the franchise. 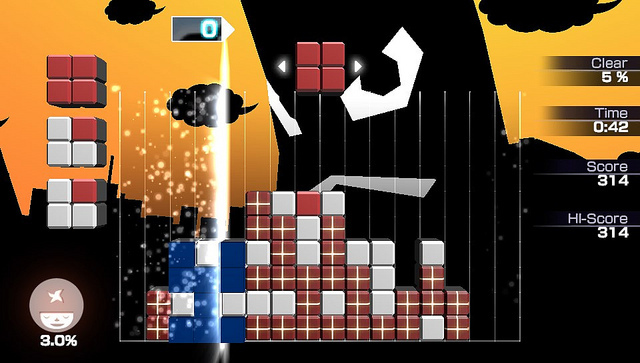 Lumines on my PS4, please, STAT! 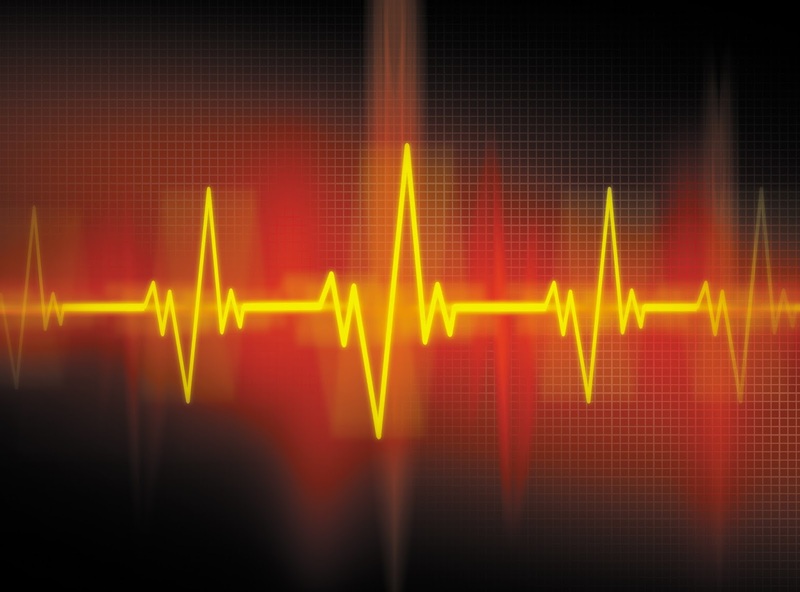 What happens when you put over 200 of the greatest Final Fantasy music tracks into the one rhythm game? Pure fan service, is what. Curtain Call is a tight, effective rhythm game, but its real strength is in its nostalgia. 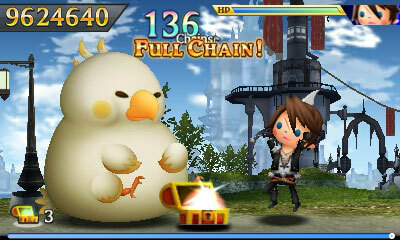 Everyone who gre up with JRPGs has a favourite Final Fantasy score. This give fans the opportunity to indulge that love, and that makes it an essential game. Okay, last Miku game in this list, I promise, but Miku Flick/02 is actually really, really good. This iPhone-exclusive rhythm game has you tapping or swiping on a Japanese keyboard in time with the lyrics from Miku’s music. You don’t need to understand Japanese to play this one – that keyboard is more a visual guide than anything, but coupled with the gorgeous animation pulled from the arcade Miku games back in Japan, this is easily the most visually vibrant way to play Miku on the run. 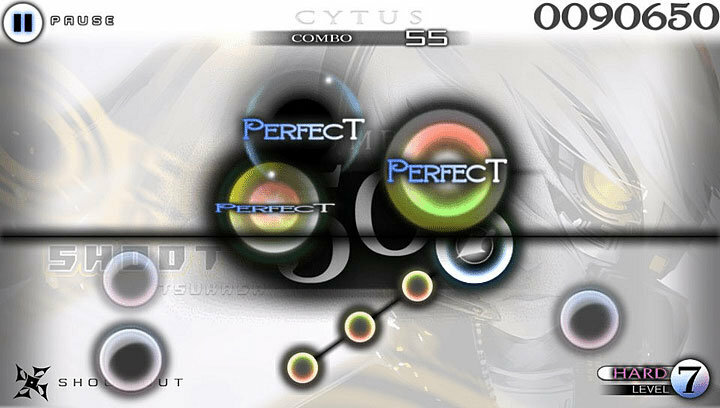 Cytus is just so fundamentally cool that it had to be on this list. Perhaps the most simple of all the rhythm games on it; you’ll be tapping dots in time with the music. But it’s how those dots happen that really sets this game apart. They appear on the screen like raindrops on a window, and keeping up with them to earn a perfect score is not a dissimilar experience to playing an actual musical instrument. Throw in a staggering range of wildly different musical styles, and this is a game that can last you months (and months) of train trips and lunch breaks. The neon groove style of Superbeat Xonic is what makes it so much fun to play. 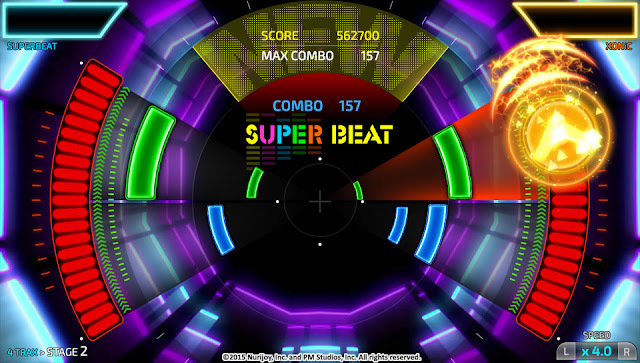 Pulsating colours and beats makes it easy to get into – even for music tracks usually outside of your taste, and the significant learning curve makes this a superb rhythm game for beginners… that will still test those who are old hats with the genre. 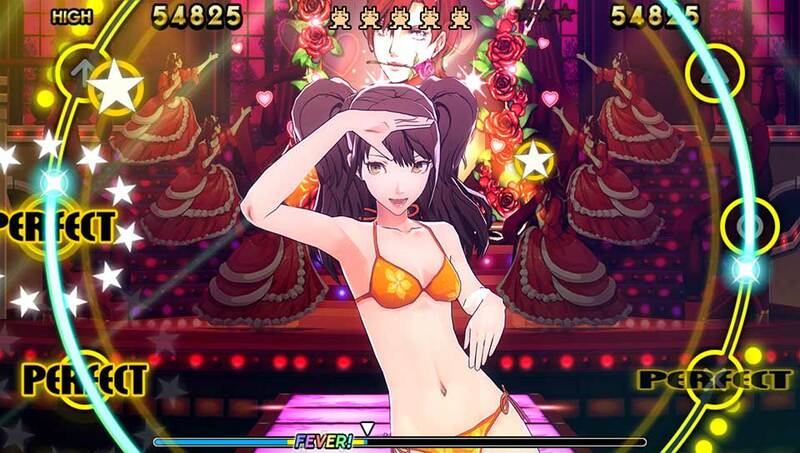 Persona 4: Dancing All Night is what happens when you mix the storytelling standard of Persona 4, the amazing characters, the superb soundtrack, and throw a bit of fanservice into the mix for good measure. This is a rhythm game that is fair, but knows how to be difficult, and while the tracklist itself isn’t too extensive, there is not a single dud on there. And Risette in a bikini and/ or a harem costume. That simply can’t be beat. 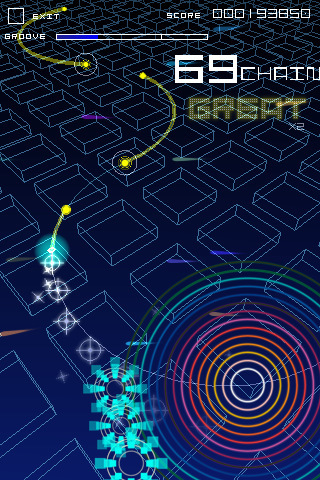 Making great use of the Taito franchises, Groove Coaster is a minimalist little rhythm game, but it’s one that’s supported but a superb, high energy soundtrack, and single “flick” gameplay that is perfect for the iOS platform. It’s also a rare rhythm game that rewards experimenting, with additional points up for grabs for players who tap along to the rhythm in an way that fits with the track, even when there aren’t button prompts to do so. Miku’s greatest rival in the rhythm game space has her own game. 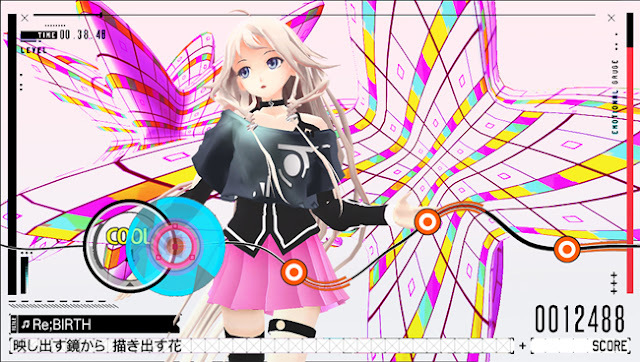 IA’s rhythm title has a massive amount of music on it, and while it’s not as well presented as in the Miku games (there simply isn’t as much stuff in the would of IA as yet when compared to the fan art, music and dance routines that we have with Miku), it’s still a classy package with plenty of challenge and it will take many hours to master. You’ll have to import this one from Japan, but it is very import friendly, and the PlayStation Vita is region free for physical titles, so you might as well do so.